Sine Mora EX is a side-scrolling shoot'em up that provides a unique challenge, where time is the ultimate factor. 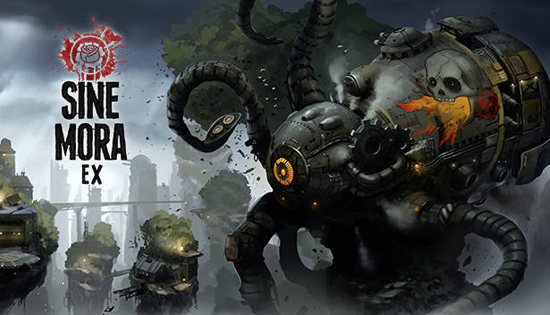 Mixing classic shooter sensibilities with contemporary presentation, Sine Mora is a gorgeous shoot'em up offering both a Story Mode that weaves an over-the-top tale and an Arcade Mode that provides deep, satisfying gameplay to challenge fans of the genre. The story mode can be also played in local co-op mode. Sine Mora EX, the extended version of the critically acclaimed original Sine Mora, is out now on PC, Xbox One and PlayStation4 on August 8th, 2017. The version for Nintendo Switch will follow later this summer. The game will be available as digital download for PC, Xbox One and PlayStation4. A retail version for PlayStation4 and Xbox One will also be out on August 8th, and there will be a retail version for Nintendo Switch, too.